Many affordable tablets have got launched in the year 2018 and definitely, you may be looking for the best tablet as per your budget at the start of this year 2019. The increasing competition is one of the reasons which will make you find many amazing tablets in a budget of 200 dollars. This special guide is for all those who want to take a perfect decision regarding which affordable tablet they should purchase. Go through all the best tablets under 200 dollars so that you’ll be able to browse the internet regularly in the year 2019. If you’re looking for a combination of best design and good features, then these 5 tablets shall be preferred first over the other low priced tablets. 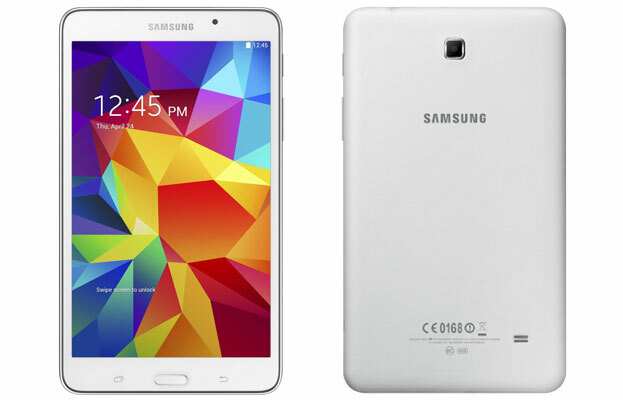 This is one of the 7-inch tablets which may definitely be a good option for you as it is a Samsung Galaxy series tablet. It comes with 7 inch WXGA display having resolution of 1280 x 800 pixels. The less weight and portable design may definitely make you get attracted towards this tablet. Samsung Galaxy Tab works on Android 4.4 KitKat and that’s why you may feel disappointed that it doesn’t come with Lollipop OS, but you’ll get decent performance as it comes with 1.2GHz Quad Core processor and 1.5GB RAM. It has got internal memory of 8GB only, and a plus point is that one can get external memory of 32GB and Dropbox storage of 50GB. 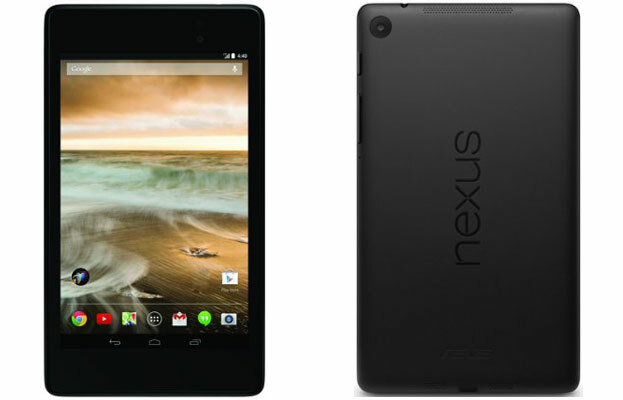 At the price of $147.99, you may definitely find it to be one of the best tablets as per your budget. Lenovo Tab 2 is an amazing 10 inch tablet which comes in Navy Blue color at price $179. It is slim at 9mm and that’s why many looking for slim tablets get attracted to Lenovo Tab 2. The 10 inch FHD IPS LCD display screen comes with resolution of 1920 x 1200 pixels. 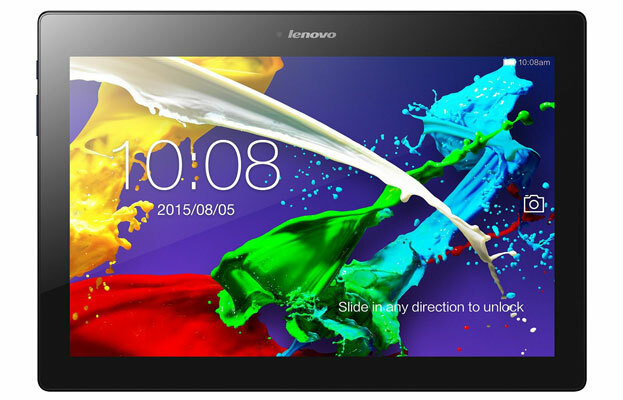 Lenovo Tab 2 is powered with 64 Bit 1.5GHz Quad Core MediaTek MT8165 processor. 2GB RAM has been provided and it comes with internal memory of 16GB. One of the most amazing features is that is comes with 10 hours battery life. As it is a 10 inch tablet, it weights more than many of the 7 inch tablets. The 16GB version of Nexus 7 tablet is priced $139.99, while the 32GB version won’t be a good choice for you as per your budget as it comes at $238.54. The 7-inch display screen is an impressive one as it comes with a resolution of 1920 x 1200 pixels and the pixel density is 323ppi. It runs on Android 4.3 (Jelly Bean) OS which you may find to be outdated as most of the new tablets are now been provided with Android 5.0 (Lollipop) OS. It is powered with 1.5GHz Quad Core Qualcomm Snapdragon S4 Pro processor and provided with 2GB RAM. The rear camera is a 5 megapixel and front camera is of 1.2MP. The battery is powerful 3950 mAh battery which will provide you with talktime of 10 hours and has even got the wireless charging support making it one of the best options for travelers. The price of a 16GB version of Nexus 7 tablet is the perfect one and the good camera features may definitely make you prefer it over the other tablets. 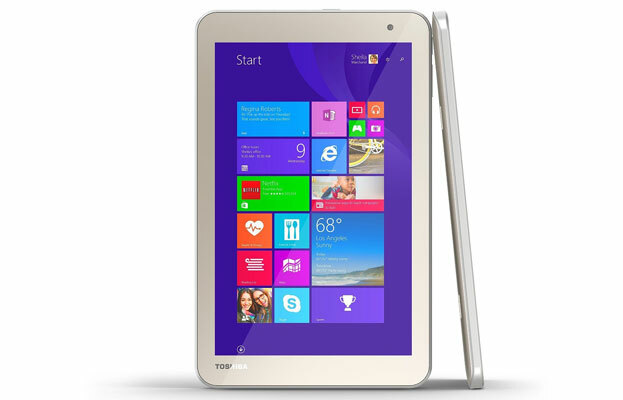 This is a very special Toshiba Encore 2 tablet which comes in Gold color. The display screen of this Toshiba tablet is 8-inch display screen and it is powered with Intel Atom Z3735G processor clocked at 1.4GHz. It runs on Windows 8.1 operating system and that’s why if you don’t want an Android tablet, then this Toshiba Encore 2 tablet can be a good option. 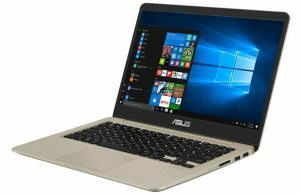 It has got 1GB RAM only which may disappoint those who’re looking for Windows tablets with 2GB RAM. Internal storage space of 32GB has been provided by Toshiba. The inclusion of Dolby Digital Plus technology makes the users get the best audio experience with Toshiba Encore 2. You can immediately purchase this Windows tablet at the price $164.98. LG Electronics G Pad tablet is an 8 inch tablet priced at $189. It comes with 8 inch display screen and works on Android 5.0 (Lollipop) OS. It is powered with Qualcomm Snapdragon processor and it has 1GB RAM. LG G Pad comes with internal memory of 16GB. 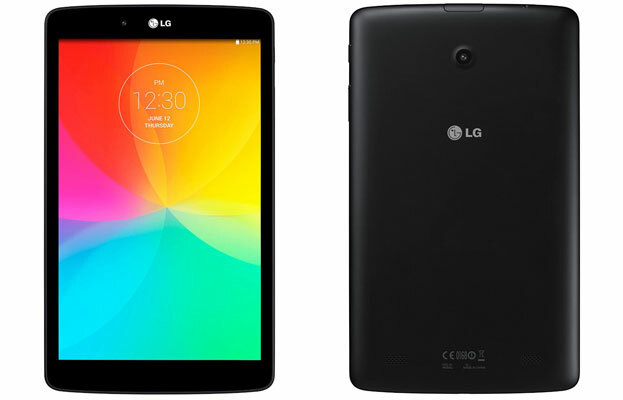 LG G Pad inclded with 4200 mAh battery which will provide you with long battery life. You’ll be able to get easy connectivity with Q pair TM 2.0 which will allow you to connect it with your Android smartphone. There is a special Gesture Shutter feature provided for selfie shot in this smartphone. Even if there may be many other options available, these 5 tablets are definitely the most recommended tablets under 200 dollars at the start of the year 2016. It may be the right time to purchase a tablet as there has been a huge drop in the price of these tablets and the new tablets which may get launched soon may be priced higher than your budget. Do let us know which affordable tablet you’re going to purchase for yourself in 2016.